I HAVE A VALUABLE SERVICE FOR YOU! To feel nurtured, loved, cared for, perhaps even relief from pains in your body and peaceful, I will channel for you, Healing Energies of Archangel Michael and My Beings Of Light Healing Team. 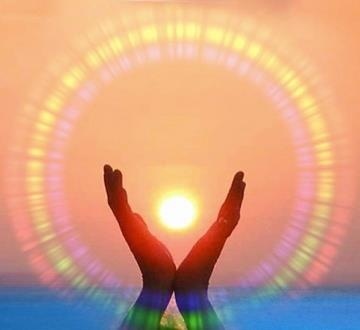 I am a Spiritual, Energy Healing Facilitator! I may even give you some insights that come through during the healing, that are right for you and your situation. If you just want to talk, that is perfect too as talking is part of healing. We will use Skype or Facebook Messenger for your healing session. I can also send you Distant or Absent Healing, which means that we will agree a time, preferably during your night time, or a time when you are quietly resting. Distant or Absent Healing crosses oceans, it does not matter where you are in the world! What Are Some Of The BENEFITS to You? The feedback I have received from clients is release of stress levels and they have found themselves calmer and feeling positive. Their money issues have lessened. Physical conditions have improved if not disappeared, and emotional issues have been replaced by a brighter view of life. 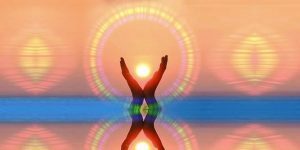 How Often to Have Energy Healing? You may just require a minimum of one session which may bring instant results and clarification. However depending on your receptivity, more sessions may be beneficial. During healing you may experience some sensations in your body or you may not, and it is all fine because you receive the healing which is right for you. You will learn to heal and balance your chakras using the Divine Union (combined energies of The Divine Feminine and The Divine Masculine). “Using Divine Union to balance your chakras, you are bringing pure consciousness into your whole being. The Consciousness that everything is One and there is no separation. Everything is integrated into your chakras. This will transform your perception of everything within you and everything around you.” These are words of Master Jesus, channelled by Natalie Glasson of The Sacred School of OmNa. Thank You Risaria For Your WONDERFUL video testimonial of Chakra Balancing! 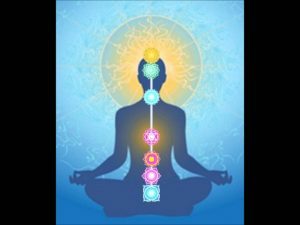 This is what Be M said about her experience of the Chakra Balancing: A few days ago I had a wonderful meditation session via Skype…Haven’t felt that relaxed/centered in a while and learnt/worked with chakras beyond your standard seven (such as the earth star and higher heart)…all new to me. Thanks Nomanono Isaacs for the knowledge and good vibrations. This is what Audrey S said about her experience of the Chakra Balancing: Thank you Nomanono for my session and a new perspective on Chakra Healing. Felt lighter and everything I did after flowed easily. Have and will recommend you. Thank you again. Namaste! This is what Andrea W said about her experience of the Chakra Balancing: I had a wonderful chakra clearing session with Nomanono this morning. I was looking forward to it even though I wasn’t certain what to expect. The clearing itself was a wonderful experience. However it was afterwards I felt the benefits of the clearing. I moved through my day feeling truly supported and connected. I actually know I can achieve great things instead of always hoping I can do them. This is an amazing experience that I would definitely recommend. Many Thanks to you Nomanono. My intention is to channel the most pure vibration of communication for you, for your support and guidance from Beings of Love and Light. The information will be what you personally need for your own ascension, growth and expansion. It may be in the form of a meditation, affirmations or straightforward guidance, whatever is right for you at the time. A Package of 2 (Two): Archangel Michael’s Channeled Healing Energies for 1 hour. Channeled Personal Communication for 1 hour. Both for £125.00 (One hundred and twenty-five pounds). This will be spread through two sessions. You book once and we arrange suitable time for the remaining session via email or during our first Skype session. A Package of 3 (Three): Archangel Michael’s Channeled Healing Energies for I hour. Channeled Personal Communication for 1 Hour. Chakra Balancing with Divine Union (Divine Feminine and Divine Masculine energies) for 30 minutes. All for £150.00 (One hundred and fifty pounds) This will be spread through three sessions. You book once and we arrange suitable times for the remaining sessions via email or during our first Skype session . DISCLAIMER: The information on this site is NOT INTENDED or IMPLIED to be a substitute for professional medical advice, diagnosis or treatment. All content contained on this website, (or made available through this site), is intended for general information purposes only and is designed to help provide an aid to those seeking self awareness and personal change. WHAT OTHERS HAVE SAID ABOUT MY HEALING! My intention is to channel the most pure vibration of communication for you, for your support and guidance from Beings of Love and Light. The information will be what you personally need for your own ascension, growth and expansion. It may be in the form of a meditation, affirmations or straightforward guidance, whatever is right for you at this time.